The staff of the Central Asia-Caucasus Institute & Silk Road Studies Program Joint Center works primarily out of offices in Washington D.C. and Stockholm, Sweden. The U.S. office is located at the American Foreign Policy Council, while the European office is located with the Institute for Security and Development Policy. The Joint Center regularly invites distinguished guest researchers for longer or shorter periods of time. The Joint Center also benefits from having a set of associated researchers linked to itself. The Joint Center is led by a Chairman and a Director, with overall responsibility for the Joint Center's activities. These are joined by Research Fellows with specific responsibilities for individual projects. The Joint Center's Advisory Council is chaired by S. Enders Wimbush. is Chairman of the Central Asia-Caucasus Institute & Silk Road Studies Program Joint Center. He founded the Central Asia-Caucasus Institute, and Distinguished Fellow at AFPC. 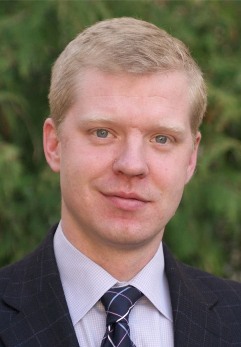 Starr is a leading specialist on the society and politics of Central Asia, including Afghanistan, as well as Russian politics and foreign policy, U.S. policy in Eurasia, and the regional politics of energy. He holds degrees from Yale, Cambridge and Princeton. 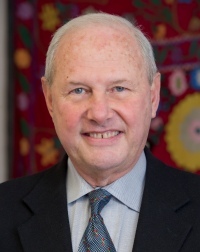 Starr chairs the Advisory council of the Institute for Security and Development Policy. is Director of the Central Asia-Caucasus Institute & Silk Road Studies Program Joint Center and a co-director of the Institute for Security and Development Policy. He was a co-founder of the Silk Road Studies Program. His specialization is in security issues, regional politics, and state-building in the Caucasus, Turkey, and Central and Southwest Asia. He holds a Ph.D. degree from Uppsala University, an Honorary Doctoral degree from the Academy of Sciences of Azerbaijan, and a B.Sc. degree from Middle East Technical University, Ankara.